Born in the Bronx, New York and raised in the projects, Souljah is a fighter who came up from the bottom. A graduate of Rutgers University, she earned a degree in American History and African Studies. She also attended the Cornell University Advanced Placement Study Program, and studied abroad in Europe at the University of Salamanca. A global student, Sister Souljah traveled throughout her college years to England, France, Spain, Portugal, Finland, and Russia. Her academic accomplishments were reinforced with first hand experiences. She worked to build a medical center for families in Bindura, Zimbabwe. She worked with refugee children from Mozambique. A major participant in the international student anti-aparthied movement, Souljah helped to create a momentum, movement and fervor which liberated Nelson Mandela and brought about the divestment of millions of dollars from corporations doing business with apartheid South Africa. Her travels in Africa also included Zambia and South Africa. She believes it is essential that African professionals work together, invest in and help to save, shape and further develop our continent, resources, families, and children. As a student activist in America, Souljah created, financed, and implemented the African Youth Survival Camp, a six week summer sleep away academic/ cultural camp for 200 children of homeless families. With a skillful curriculum, which she designed, this camp ran for over 3 consecutive years and inspired major celebrities to start their own camps and schools, and to build charities and institutions to give back. As a community activist, Souljah organized against racially motivated crimes, police brutality, and the miseducation of urban youth. She produced and promoted several outdoor rallies and concerts, in Harlem NY, which drew nearly 30,000 youth each time, as well as the participation of top Hip-Hop and R&B celebrities. In 1995, because of her success and sincerity, Sister Souljah was selected by Sean P. Diddy Combs to become the Executive Director of his charitable organization, Daddy’s House Social Programs. She built the organization and created academic programs that were housed at Columbia University, and summer camps and international travel groups for young people. Through her intellect, hard work and efforts, and Diddy’s donations and clout, she serviced thousands of youth throughout the country in a meaningful and life changing way. Daddy’s House Social Programs was under the direction of Sister Souljah for seven years. In the field of entertainment, Souljah has been on many platforms including radio and television. Before the political shutdown and attack on American 1st amendment rights, she was the young voice in NY radio that spoke to the hip-hop audience about politics, culture, business, and social organization. This includes being a featured speaker at the Million Woman March, appearances on Oprah Winfrey, Larry King Live, and the cover of Newsweek Magazine. As a Hip-Hop artist, Souljah’s CD entitled “360 degrees of Power,” sparked international debate over issues of race, culture, sexism, and politics. Additionally, the entire world awaits the release of her first film, The Coldest Winter Ever. Today, Souljah is the author of 5 national best sellers. In 2007 she became a New York Times Best Selling author and has since charted in the top ten of the NYT list three times over. She has penned The Coldest Winter Ever (fiction), which has sold two million copies to date, and Midnight, A Gangster Love Story (fiction), Midnight and The Meaning Of Love, (fiction), A Deeper Love Inside; The Porsche Santiaga Story (fiction) and NO DISRESPECT, (non fiction), all best sellers. On November 10th, 2015, her newest novel, titled; A Moment Of Silence, MIDNIGHT III get it wherever books are sold. 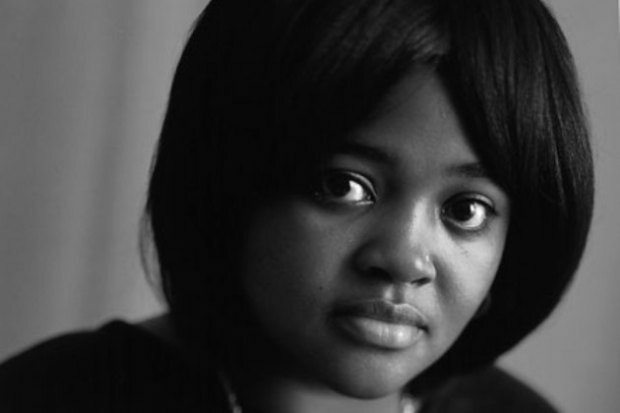 Many people attempt to silence, isolate, interrupt or alter Sister Souljah’s powerful voice. and beautiful presence. An influential woman who has achieved so much, she remains down to earth, consistent and persistent. She has been blessed to reach and touch hundreds of thousands of young people, students and even the elders. Her mantra, is to work with and alongside any human of any race or faith or culture, who lives to add to the good in the world, and not the evil. We thank our friends at Betting NFL.org for their support of SisterSouljah.com!